In its infancy, point solutions provided a secure means of communicating. 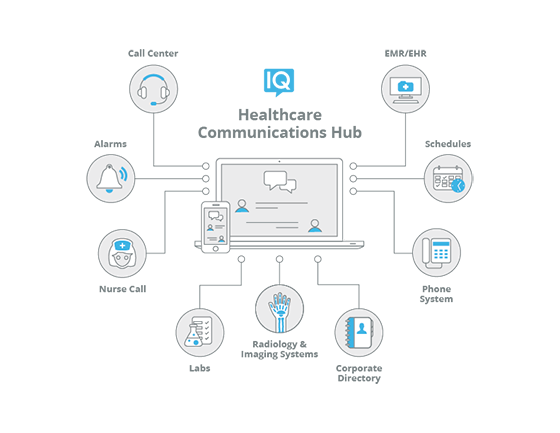 Today's solutions offer powerful integrations and workflows that align with the way call center agents, physicians and nurses work to reduce their administrative load and improve care. Telmediq's cloud based solution adapts quickly to hospital demands, preparing hospitals for years to come. Telmediq integrates with 40+ clinical systems to ensure all clinical communication is available in one place. Speak with one of our clinical communications consultants to learn more.